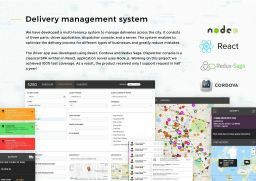 Multi-tenancy delivery system consisted of three parts: driver application (React, Cordova and Redux Saga), dispatcher's console, and a server. 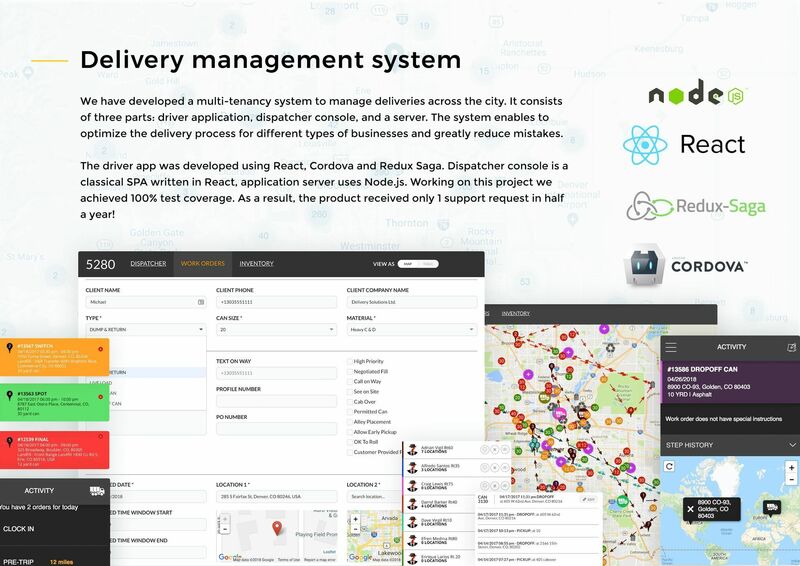 The system enables to optimize the delivery process for different types of businesses and greatly reduce mistakes. 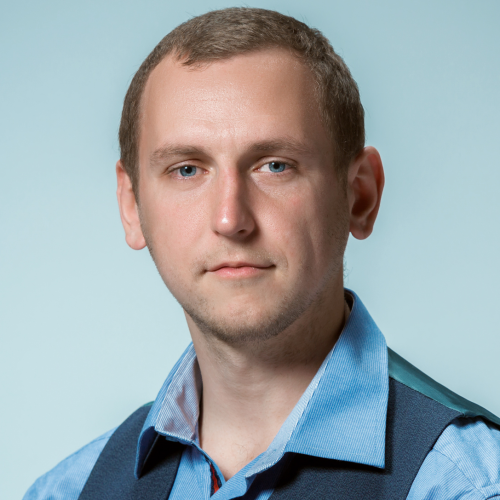 I was responsible for the front-end development of the web app using Angular.JS and integration with the external services through API. To analyze the tracked information I implemented a dashboard with various graphs. Stripe was integrated for secure payment processing. It’s a SaaS for marketing needs. It allows creating campaigns and track calls. For analyzing the tracked information we created a dashboard with various graphs. Also, we integrated Stripe payment system. We were responsible for front-end development using Angular.JS and integration with the external services API.